5. Number of Years playing quake 3-- umm, about 3-4 years. 6. Mods you play: Noghost, f4a, InstaUnlagged.. a little bery. ok lets see... ShatteR (.31), _uE_, .GodS. , and W@R.
uE---- we just brought it back but its only a NG ctf clan, so no worries. gods ----left due to dta spliting from gods, and me already having joined war before it. 9. 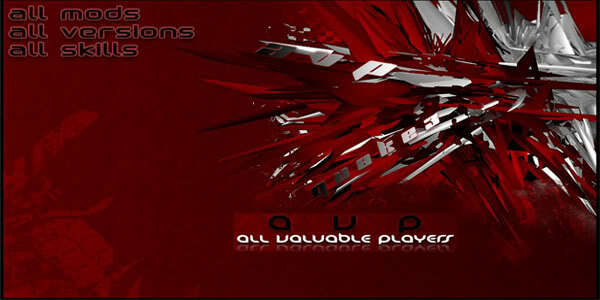 What servers you play on.--- DTA.ctf or wherever there is avp. 10. What times do you play. -- after school, and weekends usually. 11. Which *AVP* members you know.--- Soso, Jetli, swiss, omega, shayde, SJ, goog, more..
hell yeah though, yall are fun.